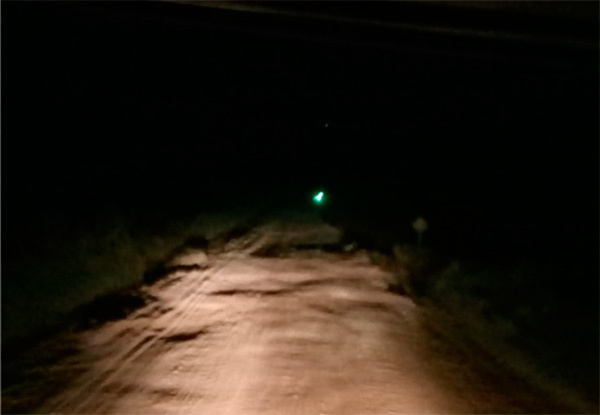 Two truck drivers experienced UFO incidents near Routes 19 and 6, between Villa del Carmen and Cerro Chato, about 45 kilometres from Sarandí del Yí, Uruguay, on 29 October 2018, at around 2:30 a.m., according to the article. The second truck driver recounted that the unknown object (blue light) flew alongside the truck before turning and disappearing into the sky. It is possible the truck drivers saw the same object.